The first ever lager produced by Black Sheep, introduced to our range in July 2017. 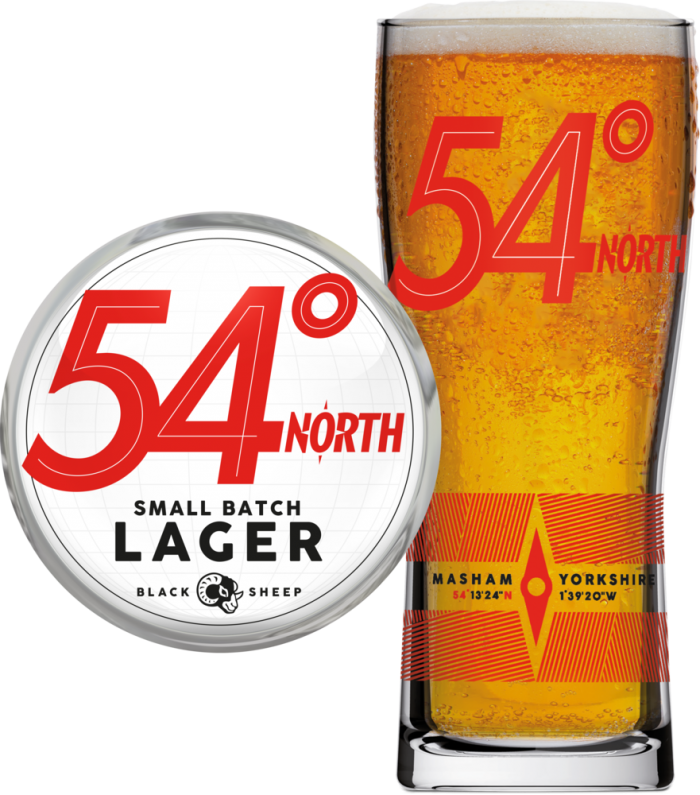 54° North is an authentic, German-inspired Helles lager with a Yorkshire twist. It is packed with three varieties of German hops; Tettnang, Polaris and Magnum whilst in the mash, and we use imported German Pilsner malt to offer a truly authentic take on the classic style. Top fermented in our Yorkshire Square Fermenting Vessels then lagered (‘stored’) for four weeks in small batches, 54° North has a clean and crisp character with spicy, herbal notes to finish. The 54th parallel north is the line of latitude around the earth that passes through Masham, Yorkshre – the home of our brewery. 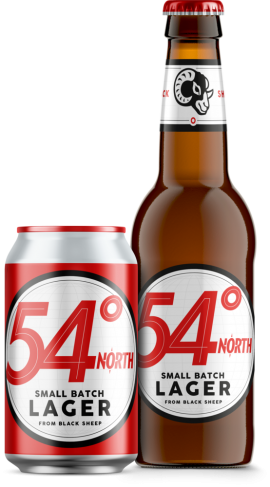 We named our lager 54° North so where ever you are in the world, you can always find your way back to Yorkshire. A spicy, herbal nose layered over a light malt base. The German hops offer delicious herbal characters with a light bitterness. We recommend 54 alongside creamy, hot curries like a Lamb Rogan Josh.